If you’re anything like me then you’re always looking for an excuse to get out some decorations and Easter is no exception. It’s really the first time since taking down the Christmas tree that there is another reason to decorate, and decorate we shall! 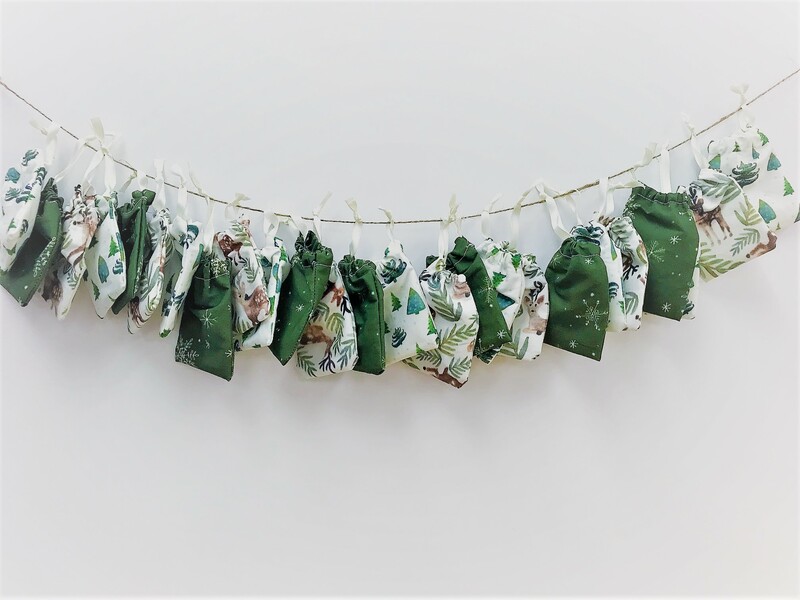 Once the first day of lent has started you can be sure that I’ll be hanging the Easter bunting on any available wall space. Plus, while I love to decorate, I love to make my own Easter decorations even more. It gives me the chance to search the web for new ideas, and adds that unique and personal touch to my home. Once I saw these little bunnies on Pinterest, I decided I had to make them! 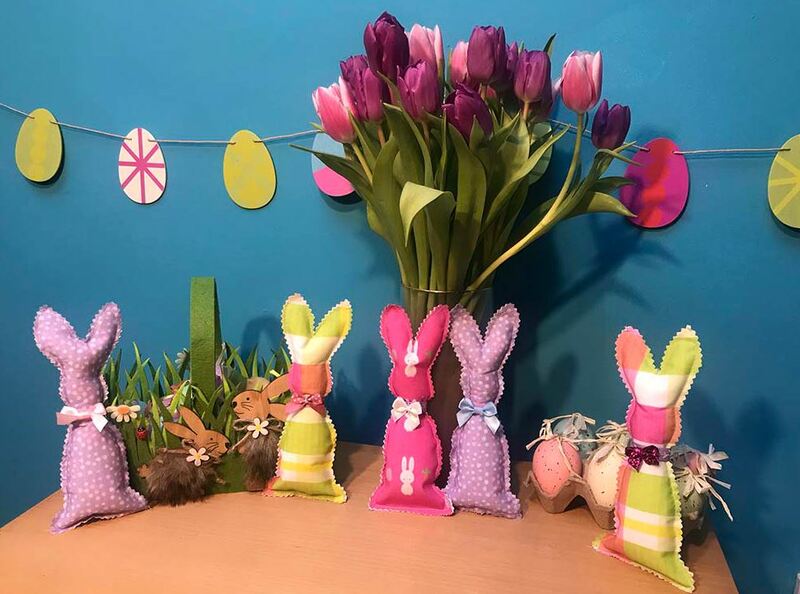 It’s the perfect Easter crafts project for me as it’s quick and easy, and they look adorable dotted around my house. You can make one of these rabbits in 15–20 minutes. So you’ll have a whole nest of bunnies in no time, which is really egg-citing! 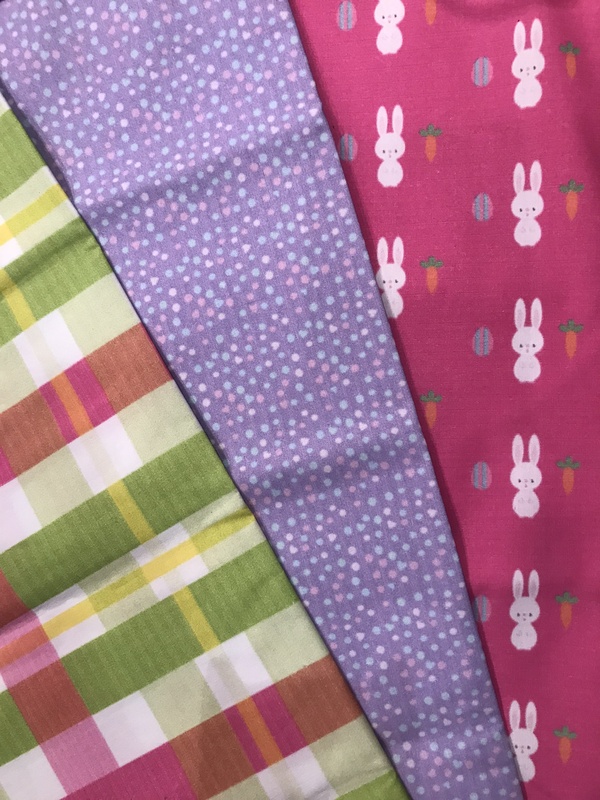 Also, using a selection of different Easter fabrics really makes these creations stand out. Pastels, polka dots and striped fabrics work perfectly for the season. So without further ado, let’s hop into the how to! 1. First of all, draw out your rabbit template. It’s completely up to you on how big you want your bunnies to be. If you don’t trust your drawing skills, like me, just search the web for a simple template to work with! 2. Next, cut out your template. Once this is done you want to double up your fabric so that both sides of your rabbit are the exact same size. 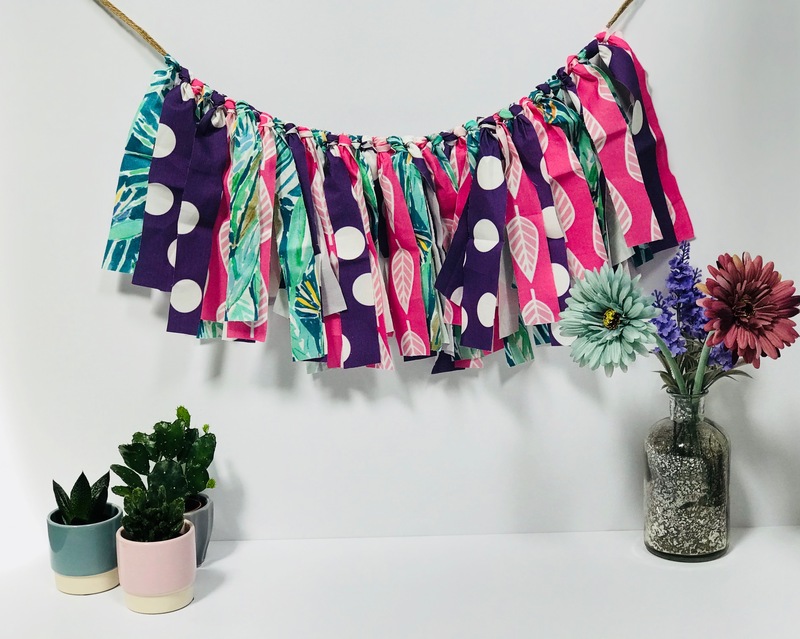 Fold your fabric so that the front or outside sides are together and you can place your template on the back side of the fabric. 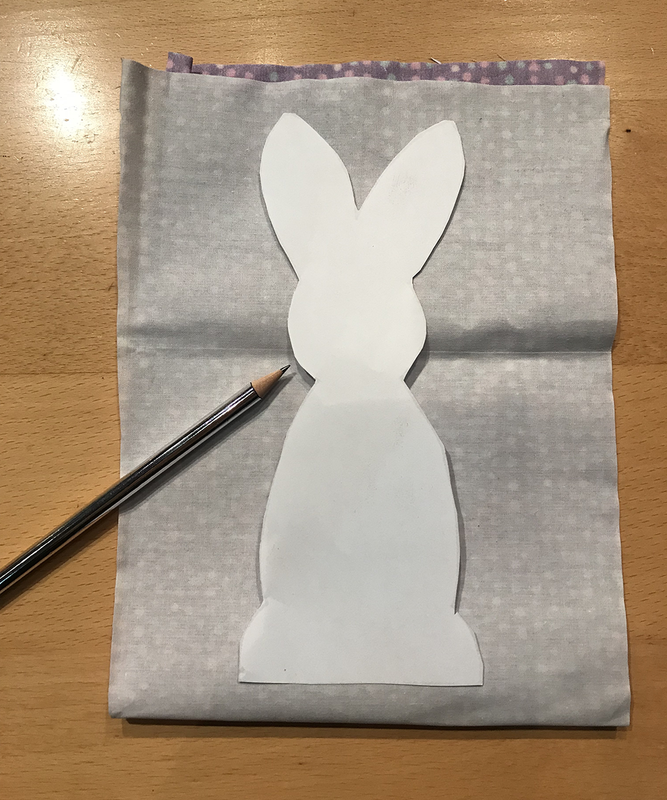 Trace an outline of your bunny on the back side of the fabric. 3. 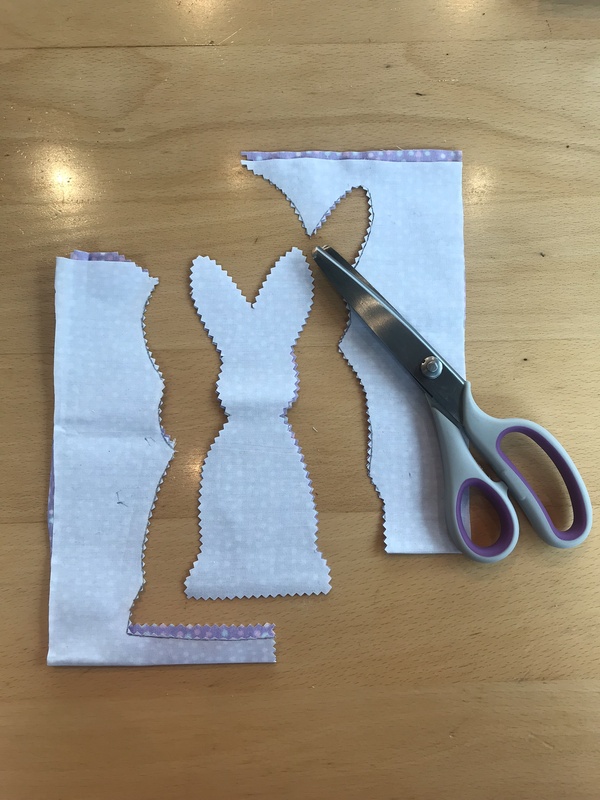 Cut through both layers of your fabric along the outline of your bunny, using a scissors or a pinking shears. I used pinking shears because I like the crimped effect and this method also helps the fabric from fraying. But you can just use ordinary scissors for this. I also held my fabric together with a couple of dress pins, just to ensure they didn’t move during cutting. 4. Once you have your two pieces cut out, place them together, front sides facing out. Again, secure them with a couple of dress pins to ensure they don’t move around when you sew them together. 5. Next, you need to sew the pieces together. 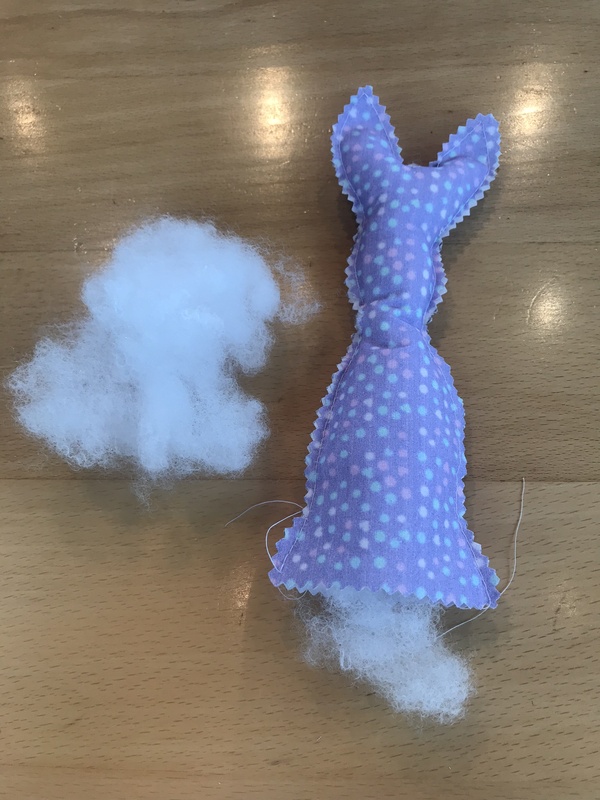 Using a simple running stitch technique, start from the bottom corner and sew around your bunny to the other corner. Ensure you don’t sew the bottom part just yet as we still need to fill the bunny. If you have a sewing machine, you can use this instead to speed up this process and create a tighter stitch. 6. 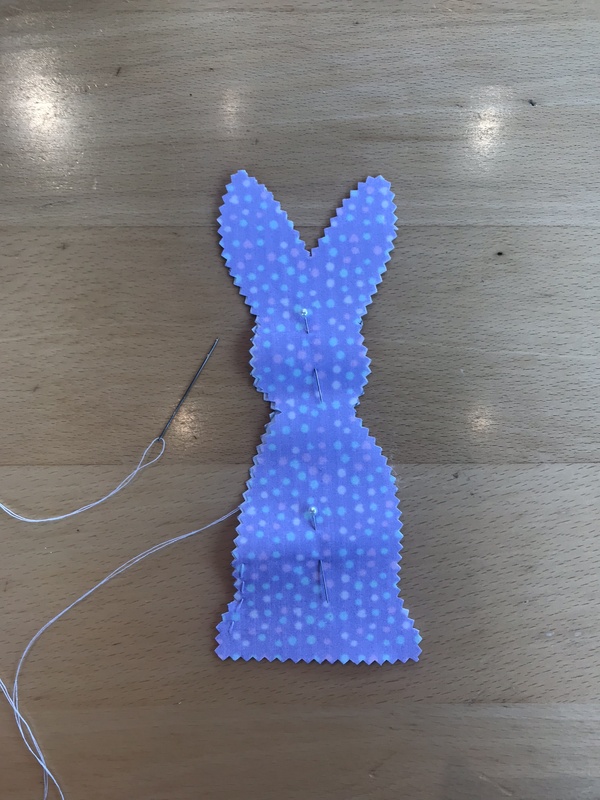 Once you are happy with your sewing, you can begin to stuff the bunny to your desired level of plump. I like to fill these up as much as I can so that they feel like little teddies. When your bunny is nice and plump you can sew up the bottom part and close up the bunny. 7. The final step is completely optional. If you are happy with your bunnies as is, then you can stop here and start the process again to create a whole colony of Easter bunnies! 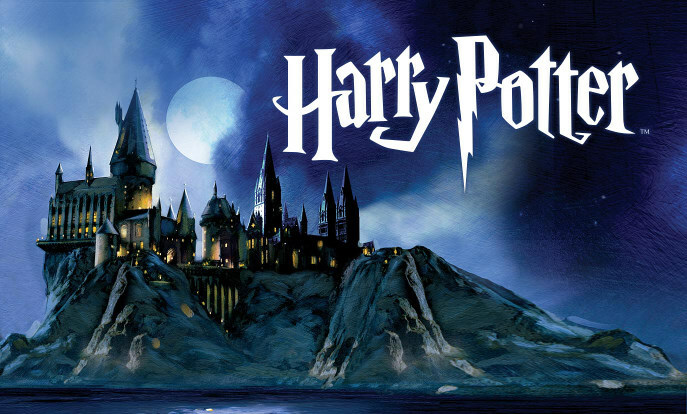 But if you want to add a bit more personality then read on! For my bunnies, I picked up some bows and ribbons from a local craft shop. Using some craft glue, I stuck these little accessories onto my bunnies for the perfect finishing touches and set them aside to dry. For alternative accessorising ideas, you could sew little eyes and a mouth onto the bunnies instead of buying extra bits. Also, if you have some cotton balls lying around, you could glue a little bunny tail onto the back for extra cuteness! 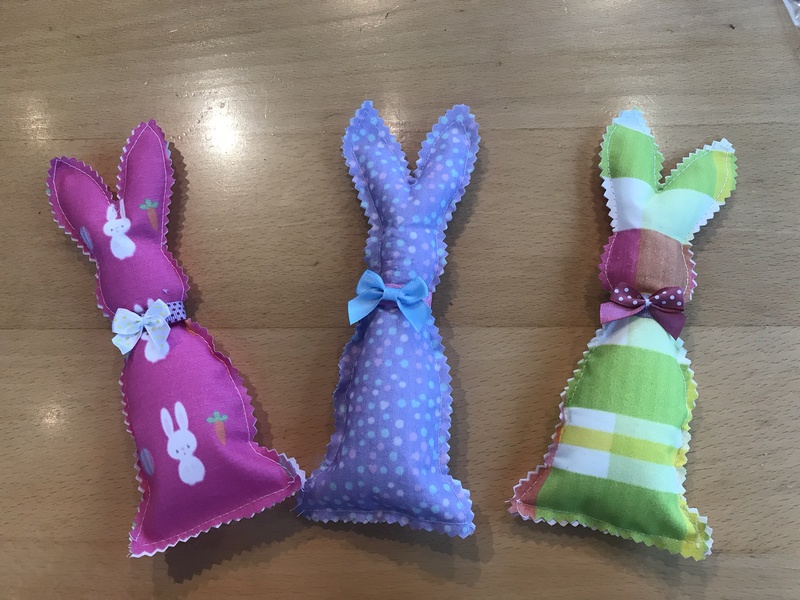 So there you have it, super simple and cute DIY fabric Easter bunnies. I have made quite a few of these for my home and plan to make some extras as Easter gifts for family and friends. 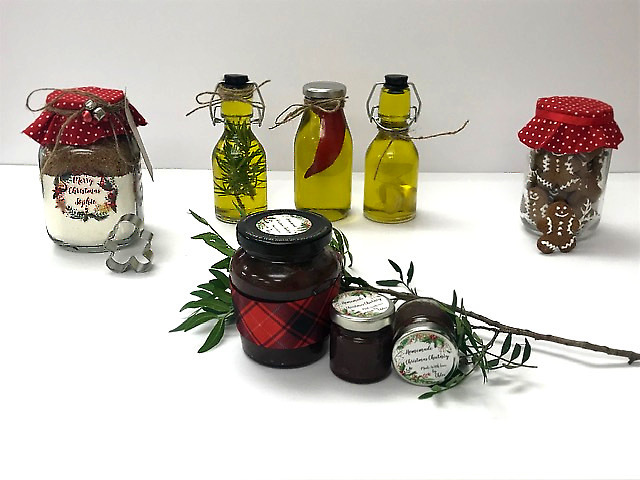 It’s a great alternative to giving Easter eggs because we all end up with far too much chocolate when Easter Sunday rolls around anyway! 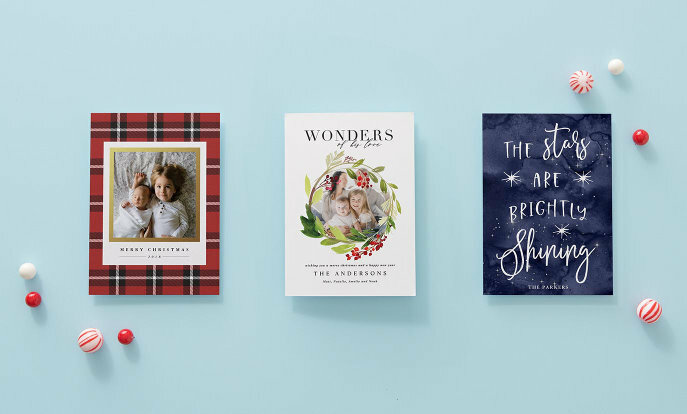 One or two bunnies each plus one of Zazzle’s Easter cards and your loved ones will be wowed! Let me know if you give this DIY a go in the comments below. Also include any more suggestions you have to personalise the little cuties. Oh, and Hoppy Easter!